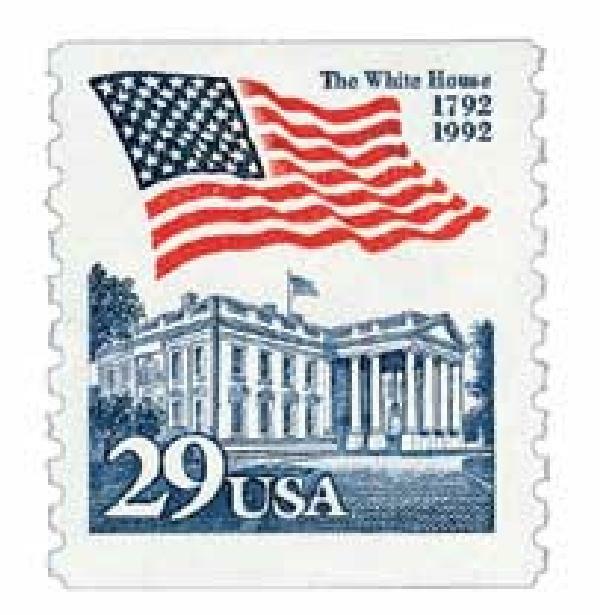 US #804 – The first stamp issued in the Presidential Series. Click image to order. 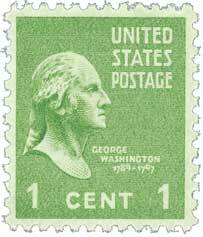 On April 25, 1938, the first stamp in the Presidential Series (also known as the Prexies) was issued featuring George Washington. US #3904 was issued for Warren’s 100th birthday. Click image to order. 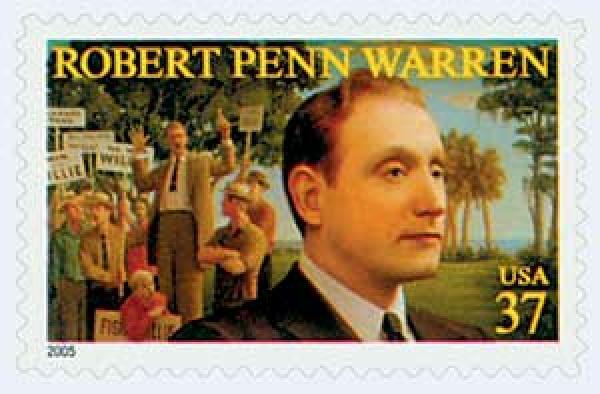 Author Robert Penn Warren was born on April 24, 1905, in Guthrie, Kentucky. The grandson of Confederate Civil War veterans, Warren grew up listening to their tales about the war, providing him with a rich history that would later influence his writing. When he was 15, Warren prepared to go to the US Naval Academy, but his brother accidentally hit him in the eye with a stone, leaving him nearly blind in that eye. In later years, Warren said he was ashamed that he couldn’t serve in the military because of his injury, but it led him down the path to becoming an accomplished author. US #2159 pictures items from a colonial teacher’s desk. Click image to order. On April 23, 1635, the Boston Latin School opened its doors. It’s America’s oldest school and first public school. Puritan colonists in America knew early on that they needed a solid educational system for their children. Many of their ministers had attended Oxford or Cambridge University in England, and they particularly wanted their children to be able to read the Bible. US #2609 was issued for the 200th anniversary of the White House. On April 22, 1878, the White House hosted its first official Easter Egg Roll on Easter Monday. Reportedly, Dolley Madison may have been one of the first to suggest holding a public egg roll at the White House. And there are stories describing informal egg-rolling parties at the White House during Abraham Lincoln’s administration. US #1196 pictures the Space Needle and the Alweg Monorail. Click image to order. 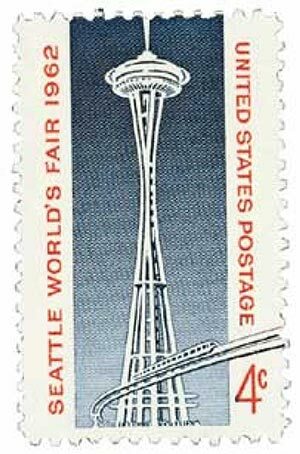 On April 21, 1962, the Seattle World’s Fair, also known as the Century 21 Exposition, opened to the public. Plans for the Seattle World’s fair began in 1955. At that time, organizers hoped to hold their fair in 1959, to mark the 50th anniversary of the Alaska-Yukon-Pacific Exposition. However, they wouldn’t have enough time to get everything ready by then so the plan had to change. 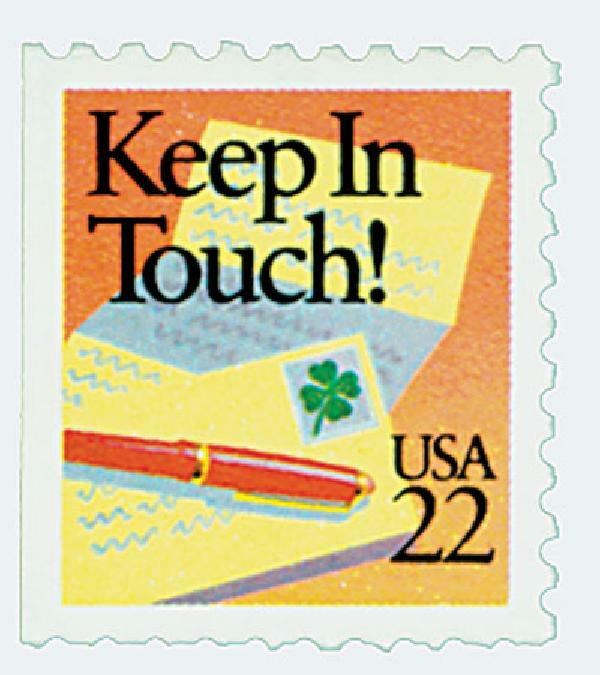 US #2274 – The “Keep in Touch stamp” pictures the “Best Wishes” stamp on an envelope. Click image to order. 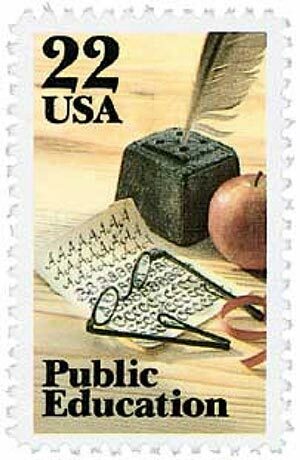 On April 20, 1987, the USPS issued the set of eight Special Occasions stamps, the first “special” stamp booklet. For several years, the USPS had received requests for stamps for special occasions such as Mother’s Day, Father’s Day, weddings, graduations, birthdays, and more. In the mid-1980s, the USPS began addressing these requests.